Hello, friends! Welcome to 2017! It’s been a little quiet around here the past couple weeks as I took a bit of a vacation, and I have to say, it was amazing! I hope you all enjoyed the holidays and got in lots of fun and resting up. Are you still feeling fired up on those new goals for the new year? I am super excited to attack my goals for this year, but first, I wanted to take a minute to look back at the past year. Okay, let’s get to the list! Of course, I love all kinds of crochet, but miniature crochet has a special place in my heart. 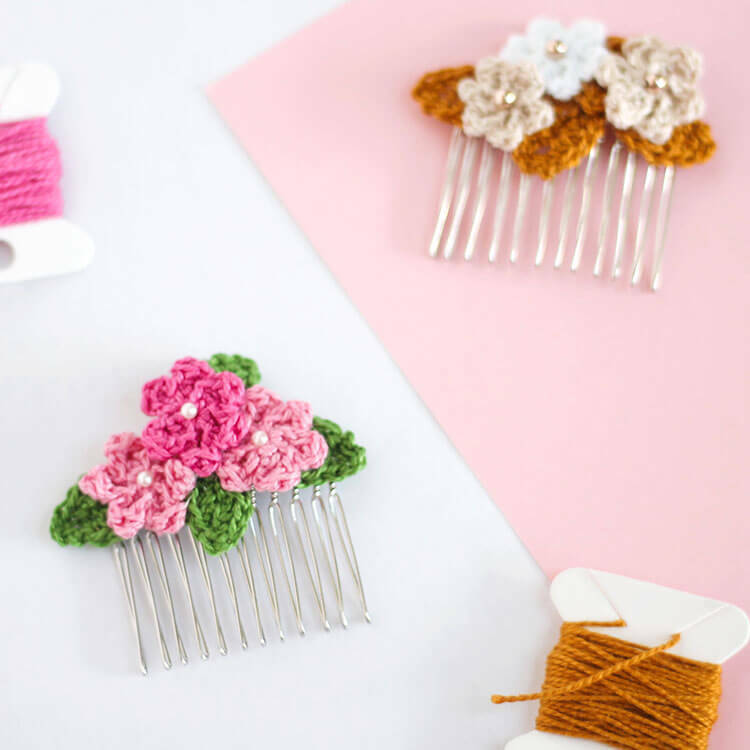 These dainty little floral hair combs are so simple to make and so, so pretty! 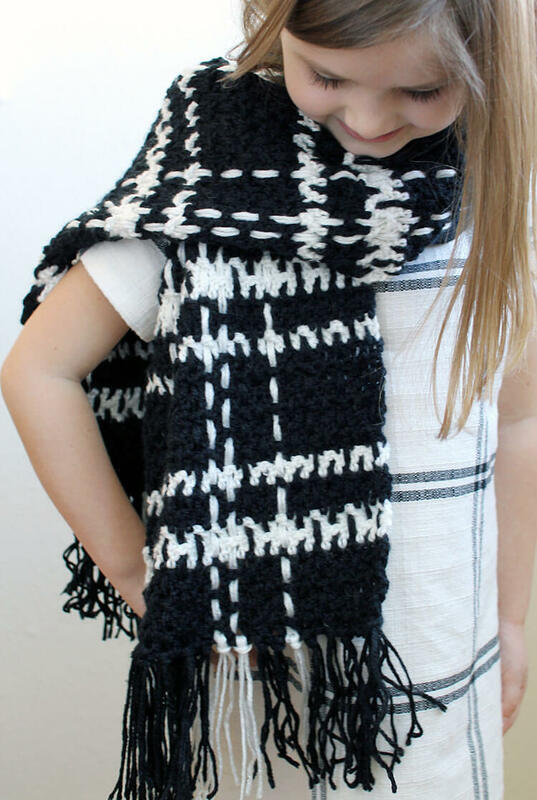 Plaid has definitely been having a moment lately, and this super simple scarf can help you recreate the trend SO easily. 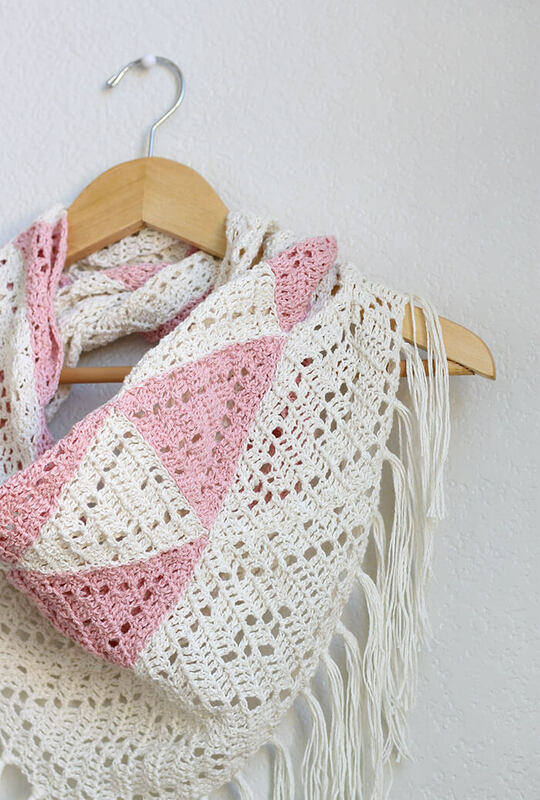 Seriously, friends, this is an easy scarf. 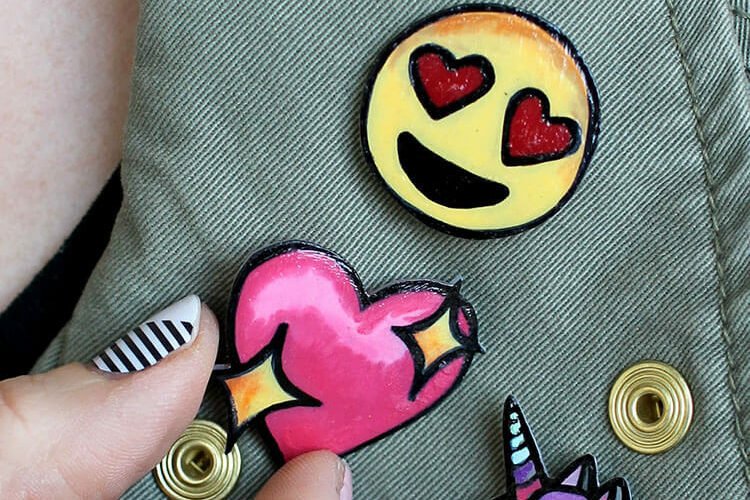 These sweet DIY pins are a variation on my popular DIY emoji pins. 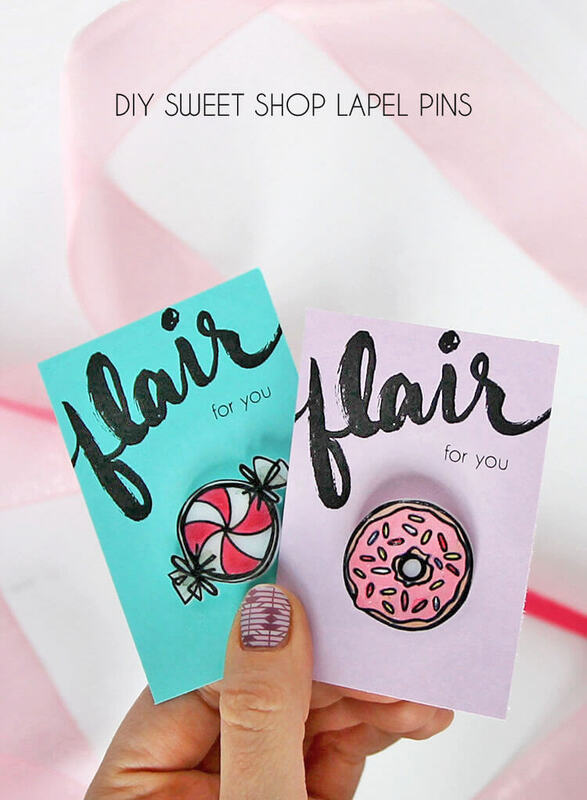 They make a great gift and are super easy to make. 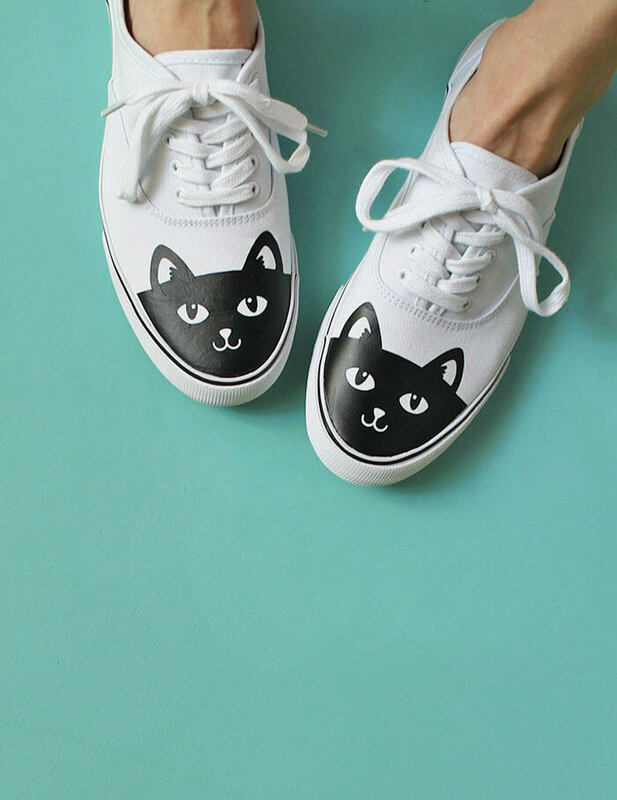 Can you guess what the simple secret is to easy DIY pins? 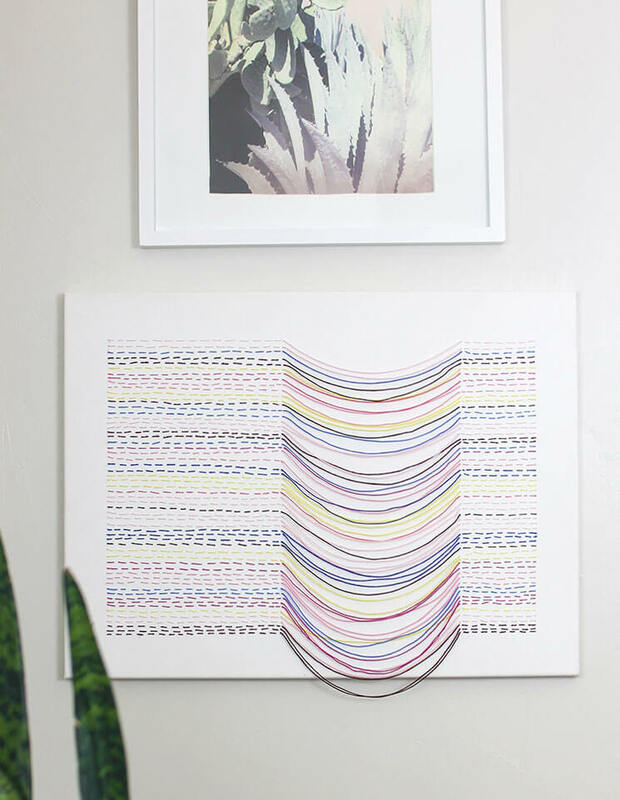 I really love this DIY art project, and I was very happy that at least some of you seemed to like it too! 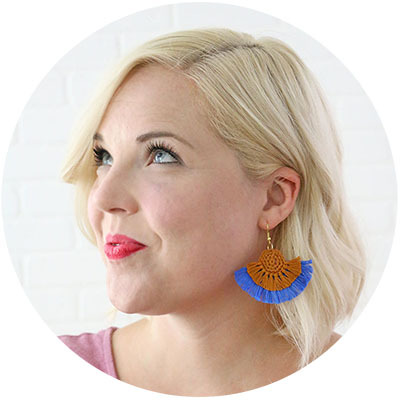 I love the movement and texture it has, and it is really easy to make – no special artistic skills required. 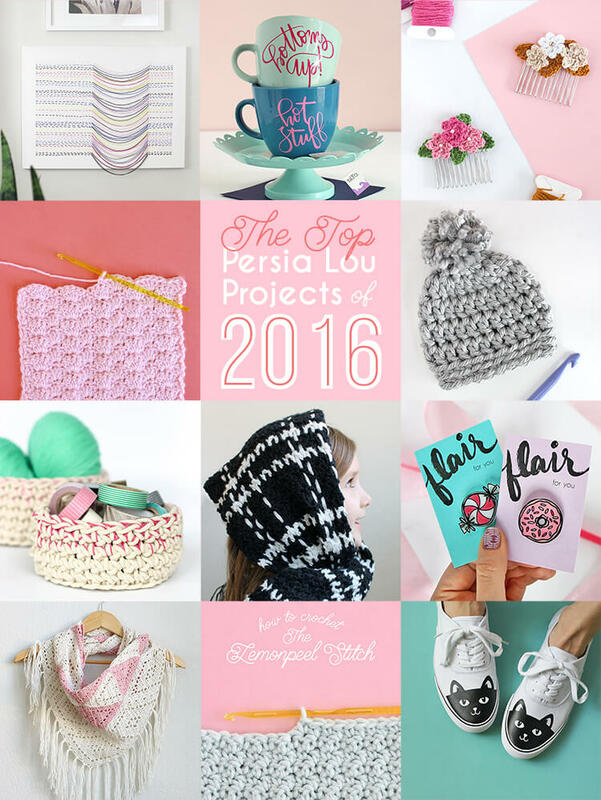 In 2016 I shared a few stitch tutorials for some of my all-time favorite stitches. 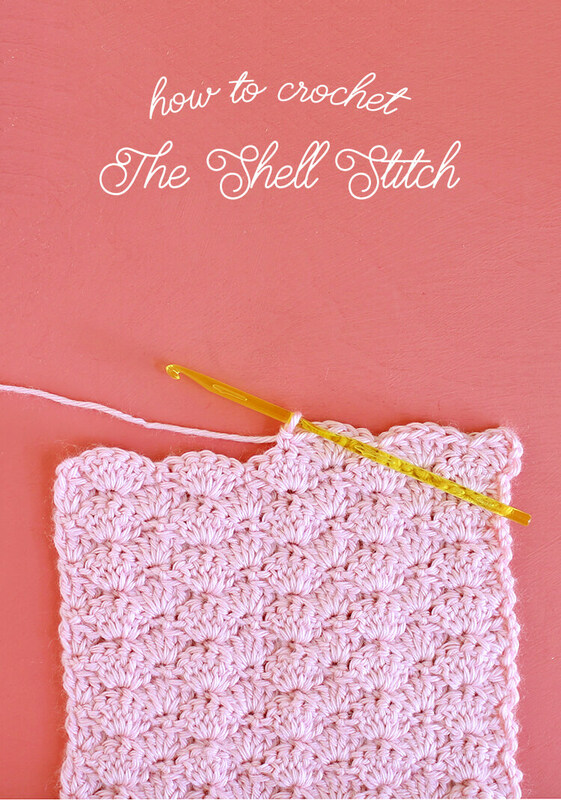 The Shell Stitch is really my go-to stitch for getting a pretty, lacy look easily. Oh, the Trillium Scarf. It’s definitely my pattern with the coolest name, and, I think, one of the prettiest I have made too. It is a bit time consuming, but the finished product is worth the effort, in my opinion. If you have ever wondered how to create perfect looking custom mugs and tea cups, this is the post for you. 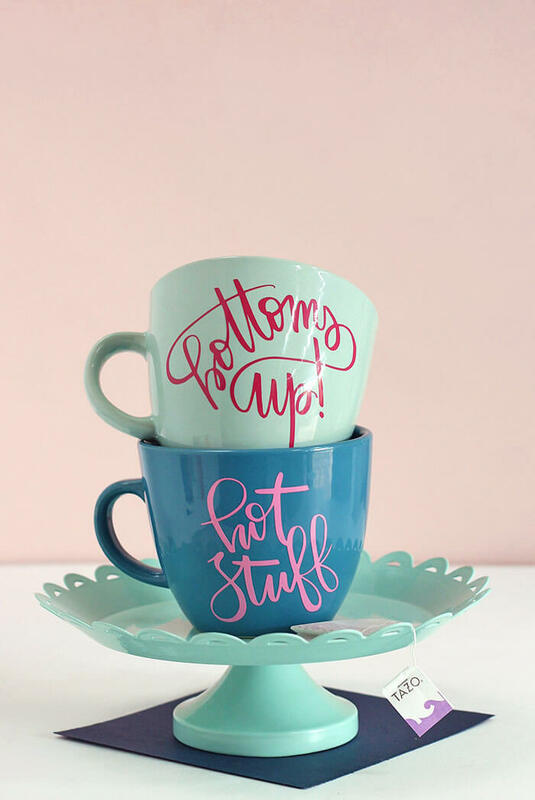 I’m laying down all the steps for perfectly transferring delicate vinyl designs to mugs, plus sharing free cut files so you can make your own awesome “hot stuff” mug (that one’s my fave). The Lemon Peel Stitch is another one of my go-to stitch patterns. 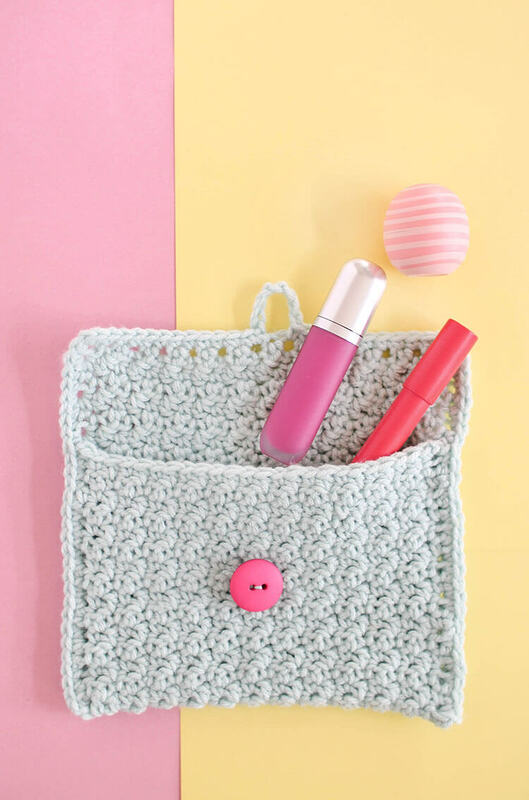 I use it any time I want a simple, easy-to-remember stitch that will give me loads of squishy texture. 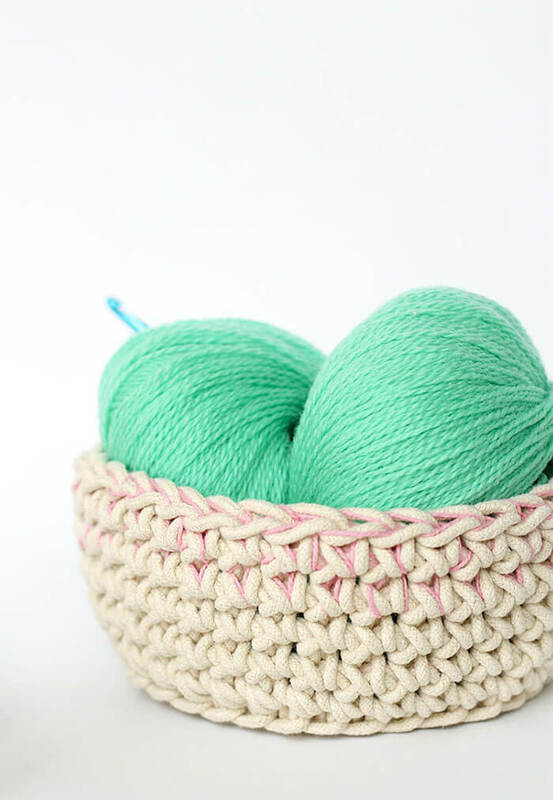 These simple crochet baskets have a subtle colorblocking technique that I just love. Plus, they hold a special place in my heart because they were the project that won me a spot a the Michael’s Makers’ Summit, which was one of my very favorite trips of 2016. It was no surprise to me that this was my top post of last year. Even though I only posted this guy in October, it has really taken off in the past couple months, and of course it would! 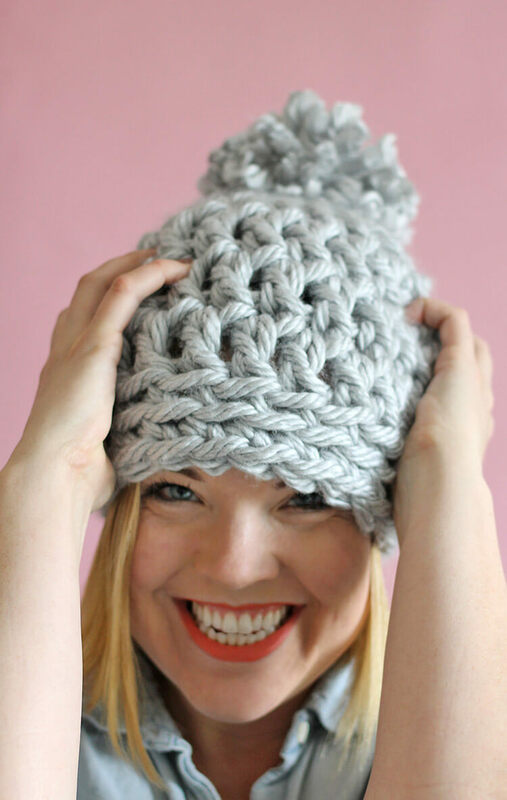 Who doesn’t want to start and finish and awesome hat in the time it takes to watch an episode of your favorite TV show? I have so loved seeing all the photos of your finished hats! If you have made one (or made any of my projects), I want to see it! Facebook and Instagram are the easiest way to share your photos with me. And, seriously, please do. I can’t tell you how happy it makes me to see them. Happy New Year and Happy Making! I love your embroidered canvas! 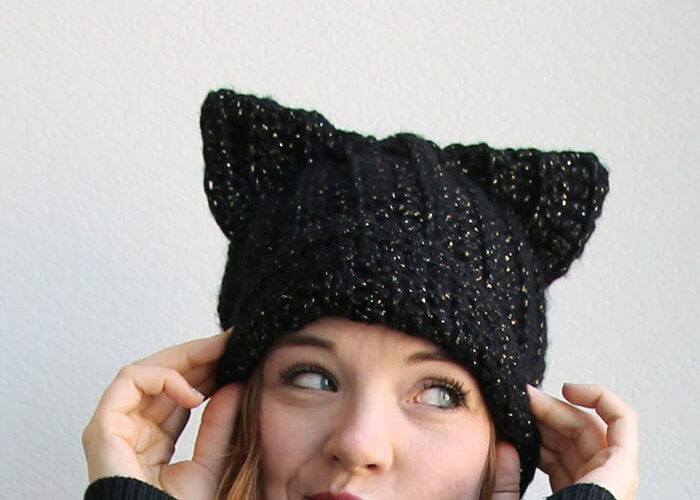 Such a unique way to use yarn! I’m looking forward to playing around with this idea, thank you for sharing it! Just made two of the 30 minute hats and a scarf!! Thanks for the awesome instructions! I just discovered you today! Sweetness! ??? ?⚜️ Looking forward to delving into all this creativity! Thank you!